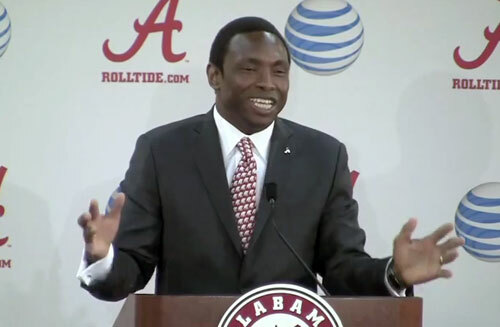 Avery Johnson is currently the head basketball coach of the Alabama Crimson Tide. Johnson spent 16 years in the NBA as a player, and subsequently served as the head coach of two NBA teams: the Dallas Mavericks and New Jersey/Brooklyn Nets. He led the Mavericks to their first NBA Finals appearance and to three consecutive 50+ win seasons. During his playing days, Johnson was known as the “Little General” for his small stature, for his leadership skills as a point guard and floor general, and for his close friendship with former San Antonio Spurs teammate David “The Admiral” Robinson. Sports Speakers 360 is a booking agent for pro athletes. If you would like to book Avery Johnson for a speaking engagement, appearance or endorsement, contact a Avery Johnson booking agent for fees at 1.855.303.5450.